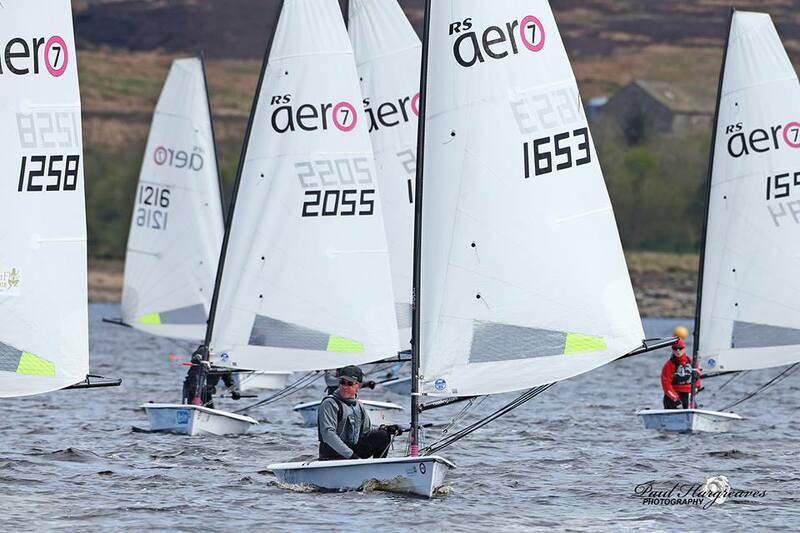 Fantastic to see nineteen RS Aeros out at Yorkshire Dales SC including seven home club RS Aeros, a record entry in the North of the UK! On Saturday Matt Thursfield kindly ran the training day and provided some great tips. After some classroom sessions and looking at some good options for boat setup a few of us took to the water. Unfortunately we didn’t quite get the wind we hoped for and after some exhilarating broad reaches and some spectacular capsizes we headed ashore to the warmth. It was interesting to see Matt sail an Aero two-up after helping with a rescue, although there was some banter in the bar later about it not being sailed perfectly flat! A nice curry, an open bar and good company rounded off the end of the first day before some hardy folk returned to their tents for the night. 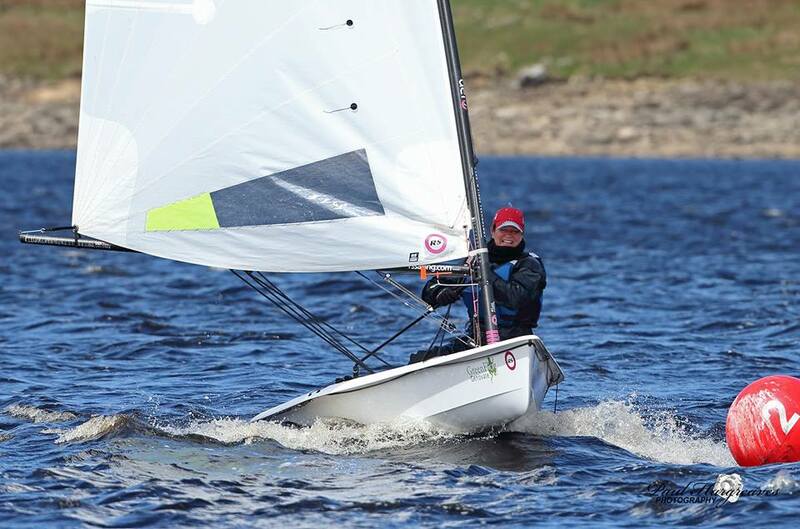 Sunday dawned and a healthy turnout of 19 Aero sailors from across the country including travellers from Scotland and the deepest south arrived for the Green Frog Genovate RS Aero Yorkshire Dales Open. The forecast of NE 10-14 knts promised and delivered a good day's sailing however it was not without some uncharacteristically unpredictable shifts and swings that left the fleet planing one minute and drifting the next. After some discussion all the fleet opted for the '7' rig to provide single fleet racing. A complex course was set covering the whole lake to increase the challenge and the fleet were off on Race 1. A pleasant shifting breeze provided plenty of ups and downs with Ben Rolfe managing to stay one step ahead of the shifts to take the win followed by Matt Thursfield. Race 2 saw a new leader Gareth Williams and the now familiar shuffling throughout the rest of the fleet. A hearty YDSC lunch provided opportunity to exaggerate the shifts and skills of the sailors and for some to comment on the rather cooling water temperature before reconvening for 2 further races. 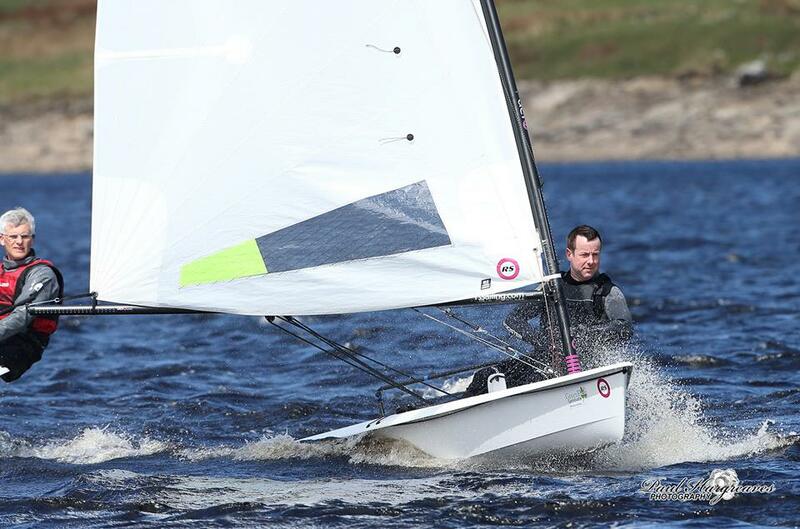 A less complex course proved to be just as challenging though this time it was local sailor Steve Stewart who mastered the wind and led to the first mark. A very close race followed with Ben claiming the win, Andrew Molneux 2nd and Steve a credible 3rd. The final race saw Matt finally take the line honours after missing out in some very close racing. Ben came in 2nd which was enough to clinch the overall title. Further down the fleet the ladies were involved in their own mini battle with YDSC local Jackie Craven coming out victorious for the ladies prize. A good days racing was enjoyed by all, there were smiles, tears (mine), planing, drifting, close racing and good camaraderie across the fleet. 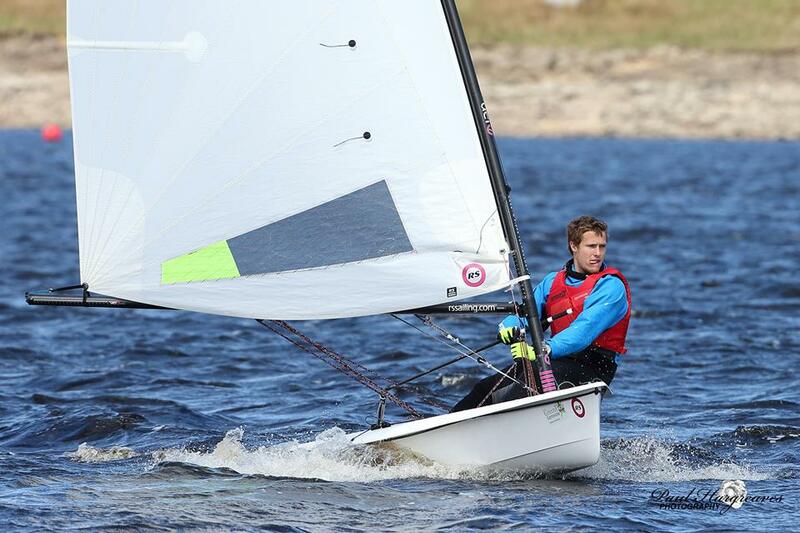 Next up for the UK Northern Circuit is East Lothian Regatta 3-4th June north of the border at North Berwick. Always a fun event with fantastic sea sailing, majestic scenery and the chance to practice your Scottish. Thanks to Paul Hargreaves for his fantastic photos. His full album can be found HERE.